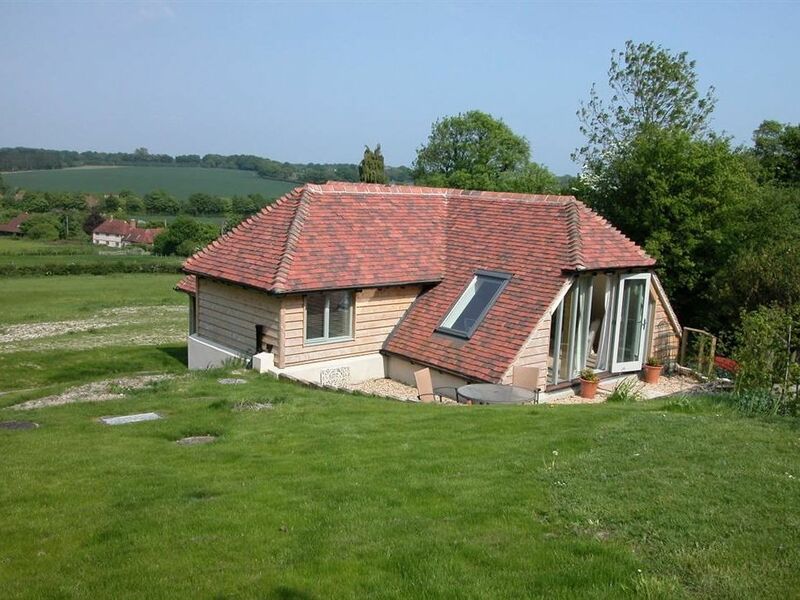 The Garden Studio is a detached property in Selborne, Hampshire. It has an open plan living room with a study area and a dining area with a fitted kitchen. They have one king-size bedroom and one single bedroom and a separate family bathroom. There is a garden terrace at the front of the property, with views across the owner’s fields and has access to local footpaths. There is garden furniture and a barbecue provided. Parking is available at the property. The Garden Studio is the ideal vacation spot for parents and their little ones. Amenities: Central heating. Two ring electric hob, microwave, mini oven and fridge. TV, WIFI. Fuel and power inc in rent. Bed linen and towels inc in rent. Travel cot available. Terrace, Weber BBQ. One well behaved dog. Sorry, no smoking. Shop and pub 0.3 mile. There are 2 steps up to bedroom 2 which is under the eaves. Town: This detached property can be found in Selborne, Hampshire and is on a country lane in the ground of a larger cottage. It is within walking distance of a Selborne village and spans 11 acres of farmland which has some attractive views across the countryside. You could visit Gilbert White’s House & The Oates Museum, or venture toward the local pottery studio and the Norman church. For those literary enthusiasts, Chawton was the home of writer Jane Austen and is only three miles away. Central heating. Two ring electric hob, microwave, mini oven and fridge. TV, WIFI. Fuel and power inc in rent. Bed linen and towels inc in rent. Travel cot available. Terrace, Weber BBQ. One well behaved dog. Sorry, no smoking. Shop and pub 0.3 mile. There are 2 steps up to bedroom 2 which is under the eaves.